The script has been updated to work in an Azure Function but also modified to use a parameter so that it only captures data for the published project, the PowerShell script can be seen further on in the post. $url = $PWAInstanceURL + "/_api/ProjectData/Projects()?`$Filter=ProjectId eq GUID'$projID'&`$Select=ProjectId,ProjectName,ProjectPercentCompleted"
SnapshotDate is set to Todays date so we don’t need to set that in the code. The code is simple to follow but in summary the first part will get the projID from request body – we will pass in the ProjectID for the published project from the Flow / Logic App trigger. Then the SharePoint Online CSOM DLLs are imported in. Then the specific PWA environment details are set for the variables. The OData URL is then added to the url variable. Here notice we are filtering for the ProjectID and passing in the $projID variable we get from the request body. The Select part of the query will need to be updated for your project level fields. Next the code gets the data from the OData feed using the web request and adds the data into the results array. 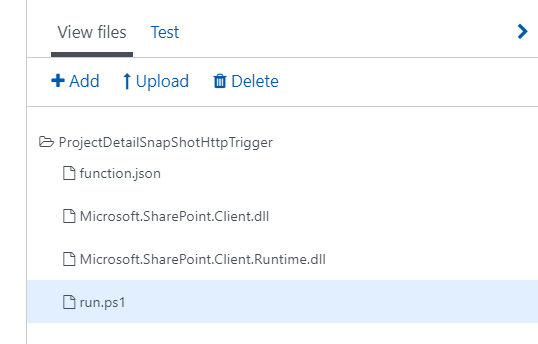 Once we have the data, we connect to the SharePoint list, in the example it is the ProjectSnapShots as set in the $listname variable. Lastly the new item is created in the list using the data from the results array. Select the correct Key, in this example I used the default function key. Copy the URL as it will be needed later. 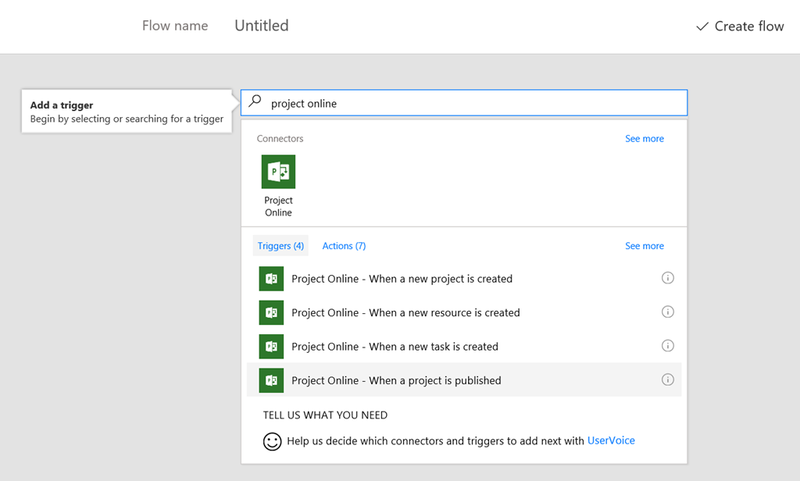 Then select the Project Online – When a project is published trigger. This just shows a simple example and the some of the possibilities for extending the Project Online capability when making use of simple PowerShell scripts and other Microsoft 365 / Azure services for cloud / serverless solutions. Look out for more examples in the future. Whilst I will use that example PowerShell script from my last blog post as an example, the concept will work for any PowerShell script. 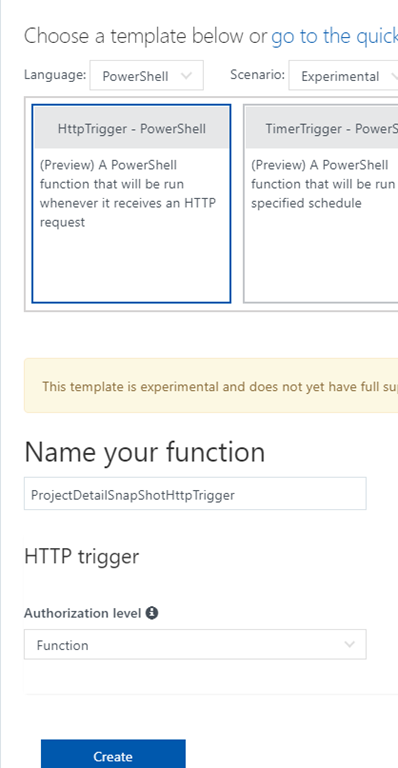 I wont cover the details in setting up the Azure Function in part 1 as there is plenty of support out there for this – for this example I created an Http Trigger – PowerShell function. The next change I had to make was to comment out all of the feedback to the console, so all of the write-hosts. I also had to remove the functions within the script so that is was one block. 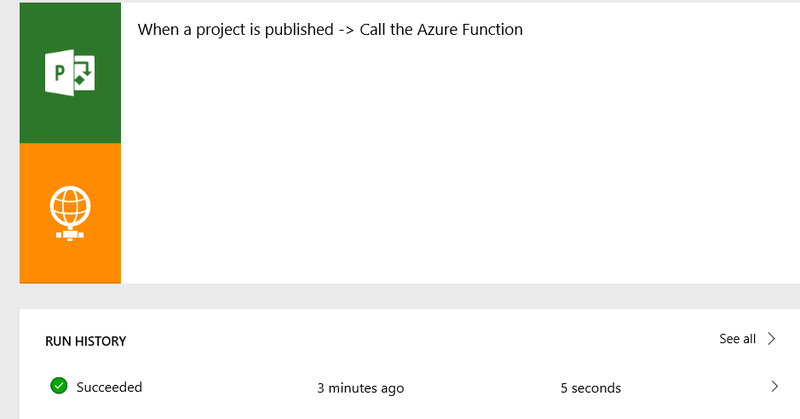 After these changes I could execute the PowerShell script to add the project team members from my example project into the associated project site from the Azure Function. 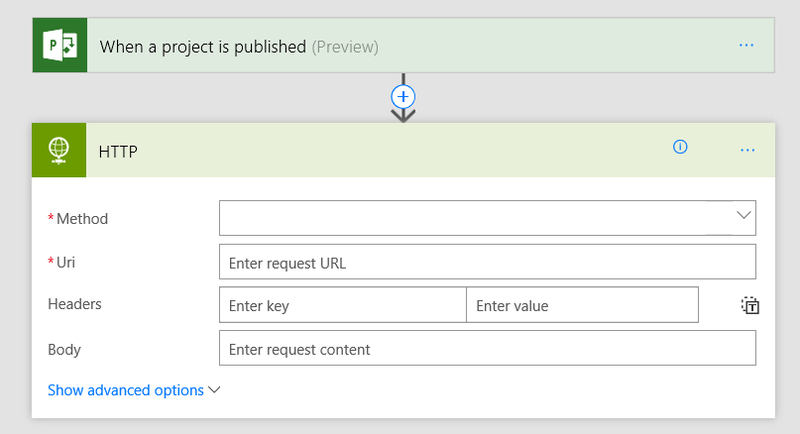 As this was an HTTP Trigger Azure Function, you can get the URL to the function and access that URL to execute the function. 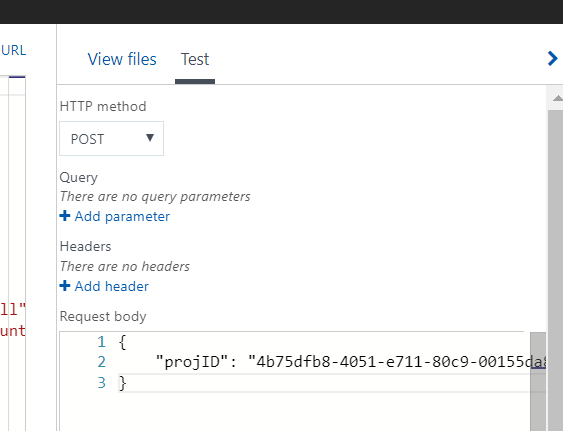 This opens up lots of possibilities to easily execute this Azure Function from other applications that can make the HTTP call. 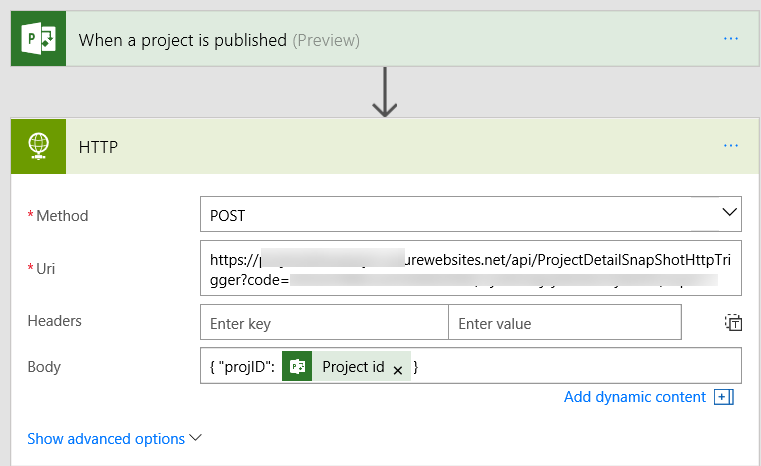 For example you build easily execute this script once the project has been published either using a remote event receiver (RER) or a Microsoft Flow / Azure Logic App. The example script would need to be made generic and pass in a variable into the Azure Function for it to be a workable solution. 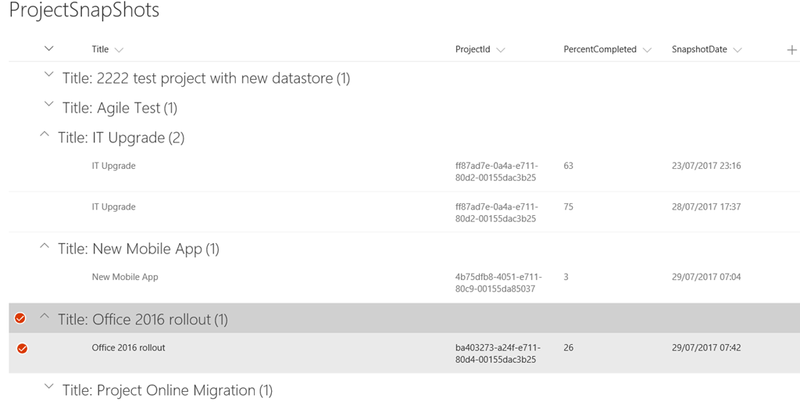 In part 2 of this blog post we will look at make a full event driven solution that is fired on project publish then executing the Azure Function and passing in a variable.